Inspired by Silje Norendal's desire to make a board that gives ladies the confidence and support to take their riding to the next level with ease. 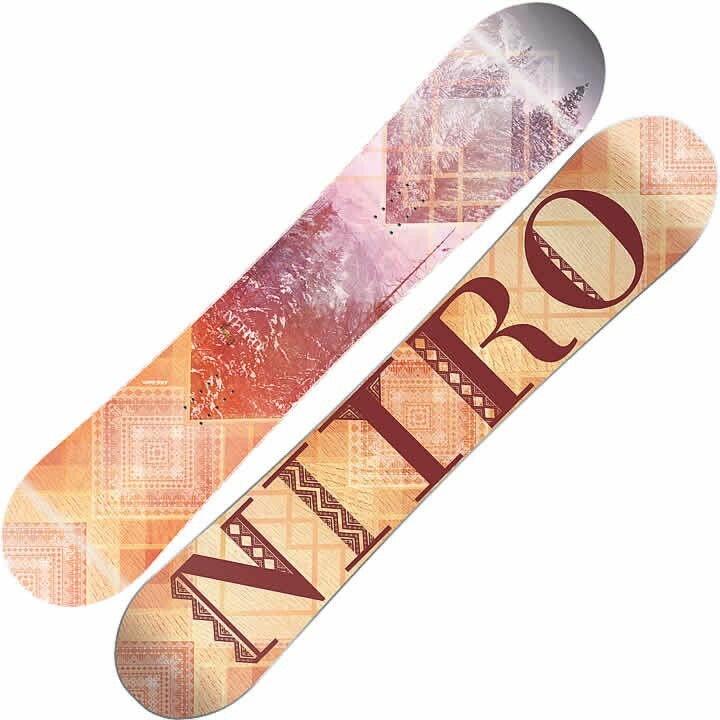 The women's Nitro The Mercy Snowboard is their most responsive women's freestyle snowboard designed and inspired by Silje Norendal to offer the perfect response and liveliness for all day hot laps in the park, to record-breaking speeds down the steeps. The Cam-Out Camber's underfoot foot camber with early rocker rise in the nose and tail offers the snap and response you want to hit the features in the park, without sacrificing the flex and forgiveness you need for friendly-progression. The Railkiller Edges allow you to take this freestyle shred stick to the rails and boxes all season long, so follow Silje's lead this season and learn something new. Railkiller Edge - Your secret weapon for rails, rocks and longevity! With it's unique edge profile and an impact resistance of more than 200% compared to a standard edge - the Railkiller Edge is twice as thick and twice as strong. This proprietary construction can take on any rail challenge. Take a file to them or ride them hard and wear them down naturally, this chunk of steel has enough meat for years of abuse.